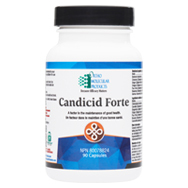 Candicid Forte provides a blend of nutrients and botanicals to promote the maintenance of good health and the body’s ability to metabolize nutrients. 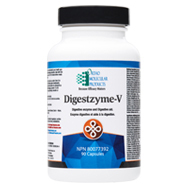 Digestzyme-V is a comprehensive blend of acid-resistant enzymes designed to help maximize the digestion and absorption of nutrients from food. 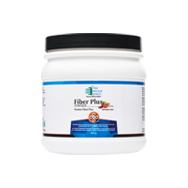 Fiber Plus is a natural fiber supplement with a balanced ratio of soluble and insoluble fiber to help with occasional constipation and maintain long-term bowel regularity. 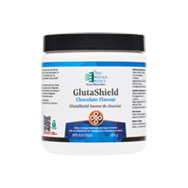 GlutaShield is designed to help soothe inflammation or irritation of the gastrointestinal tract (based on herbal medicine use). Its formula includes nutrients that support the gut mucosal epithelium. 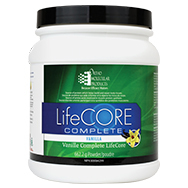 LifeCORETM Complete is a comprehensive nutrition source that includes brown rice and pea proteins shown to build and repair body tissues for the maintenance of good health. 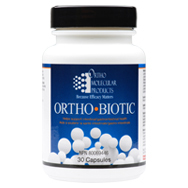 Ortho Biotic is a probiotic formula designed to deliver active organisms shown to promote healthy gut microflora, and support intestinal health. 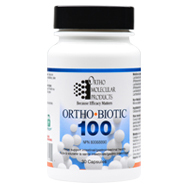 Ortho Biotic 100 is an extra-strength probiotic delivering 100 billion active cultures to support gastrointestinal health. 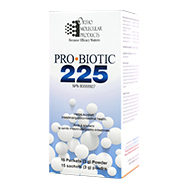 Probiotic 225 is a probiotic formula designed to deliver active organisms shown to promote healthy gut microflora, and support intestinal health. 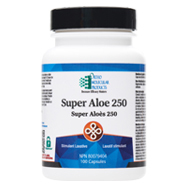 Super Aloe 250 is intended for the short-term relief of occasional constipation. The formula provides tailored natural support for elimination.